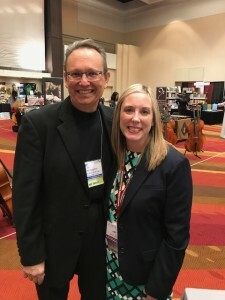 Christopher Reidlinger and Amy King (Sales and Marketing Manager, Luck’s Music Library) at the 2018 ASTA Conference. Christopher is the orchestra director at Kingwood High School in the Humble ISD in Texas. He was one of the recipients of a large portion of the funds raised from the Hurricane Harvey fundraiser. His school was completely destroyed and they are currently housed in a nearby school until Kingwood is restored. 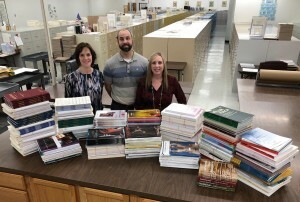 Melissa Luck (President, Luck’s Music Library), Andy Luck (Vice President, Luck’s Music Library), Amy King (Sales and Marketing Manager, Luck’s Music Library) pictured in the Luck’s Music Library warehouse with a large portion of music being donated to Texas schools. 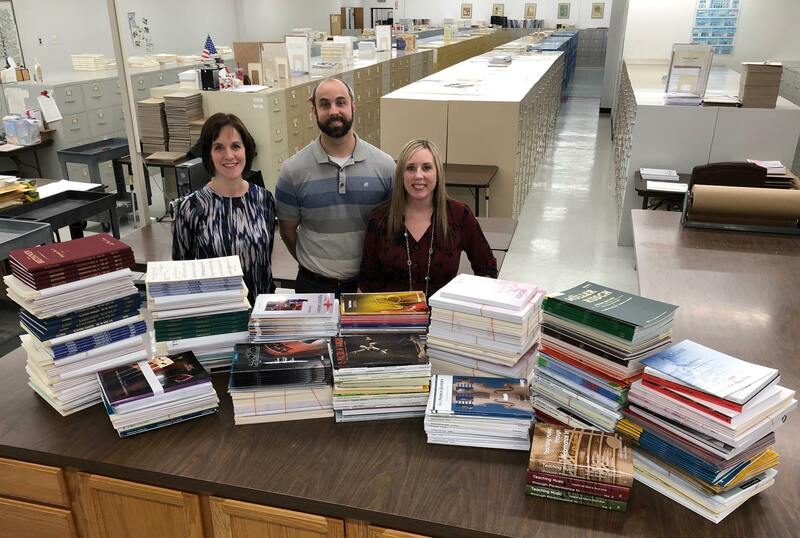 Teachers, students, schools, and parents across the country contributed to the cause, and funds donated were matched dollar for dollar by Luck’s. This included a $2,000 donation from our own MASTA chapter! Bryan Kolk (Treasurer, Michigan ASTA Chapter and Troy High School Orchestra Director), Amy King (Sales and Marketing Manager, Luck’s Music Library) at the Luck’s Music Library Headquarters. 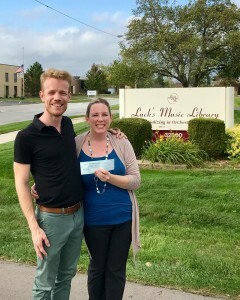 This photo was taken when Bryan Kolk stopped by to drop off a $2,000 donation from the Michigan ASTA Chapter for the Hurricane Harvey Fundraiser. The $35,000 raised is currently being distributed to Orchestra programs in the Houston area.